Does Ho Sung Choi have the strangest swing in professional golf? Henni Zuel takes a closer look at the unorthodox technique of Ho Sung Choi. Does he have the strangest swing in golf? Ho Sung Choi’s PGA Tour debut may have ended in a missed cut, but the South Korean's bizarre swing once again got the golfing world talking at the AT&T Pebble Beach Pro-Am. The 45-year-old has become an internet sensation over the past year for his unorthodox way to strike a golf ball, lifting his right leg on impact and pirouetting in dramatic fashion on his follow-through. 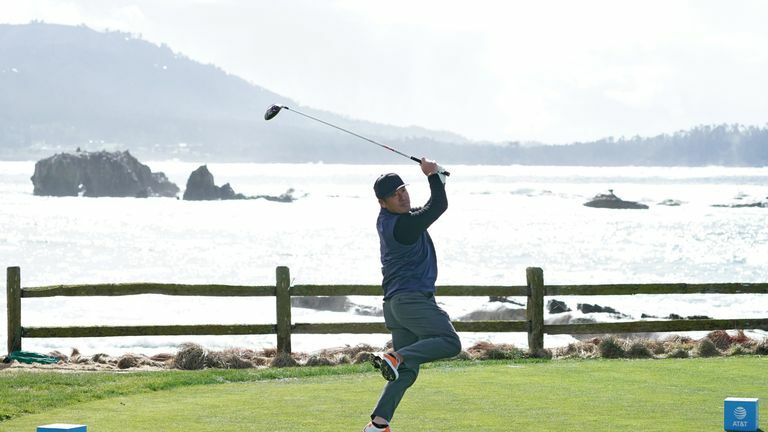 Although his swing is far from a traditional technique, the method has benefited Choi in four worldwide titles and helped him secure a sponsor's invite to this week's event in California. With so much to analyse from the "fisherman's swing", we gave Henni Zuel the task of trying to pull apart Choi's element and take a closer look at how he makes it work. Is Ho Sung Choi's swing the strangest in professional golf? Click on the video above to see see Choi in action and then cast your vote below!